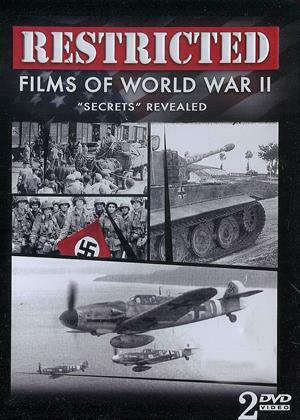 The United States government produced thousands of films during World War II, many of which were considered "classified". These film reports covered all theaters of operation and ran the gamut, from important news of battles and invasions, to the introduction of new equipment and supply methods. Originally produced for commanding Generals and their immediate staff, we are able to bring you these inside "secret" stories of World War II through the Freedom of Information Act. Over 800 U.S. Navy vessels and thousands of airborne troops attack the Germans in Southern France. See the aftermath first hand as the Nazi's flee from Southern France. General Mark Clark leads his troops into battle against the German built fortifications woven into the rough mountainous terrain. Get a first hand view as the R.A.F. coastal command sweeps across the channel to bomb Nazi merchant convoys. Brest, one of the most important harbors in France, is targeted by the Allies.